Rotating facial brush for deep cleansing & exfoliating. Reduces the appearance of fine lines and wrinkles by deeply cleaning pores and extracting bacteria. Exfoliates and cleanses the pores of leftover make-up and ensure clean skin from head to toes. Aids in clearing of skin and product absorption, Can be used with facial emulsion, hand-washing cream and foot-cleaning products. 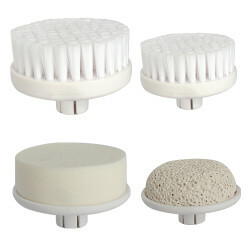 A set of 4 reusable applicators including a large brush & small brush, face sponge and pumice stone. 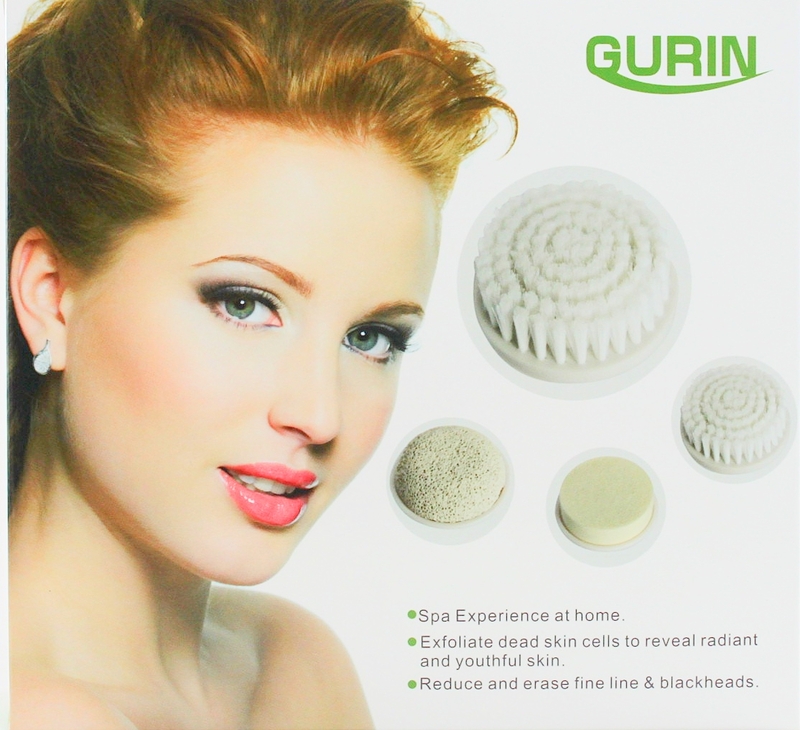 These are the replacement attachments for Gurin Face and Body Ultra Clean Brush 4-in-1 SPA Cleansing System & Waterproof and Cordless.